It’s game on for Battle: Pheasant. 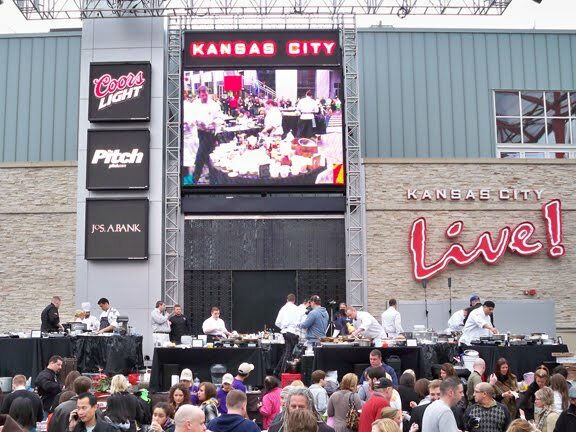 Six cheftestants went head-to-head in pursuit of the prestigious Gold Fork at the Pitch's annual Taste of KC at the Power & Light District last Sunday. I was very excited to be asked to sit on the judging panel alongside Beth Barden of Succotash and Marshall Roth of Dog Nuvo. Tonight’s secret ingredient was pheasant, and the chefs came up with some intriguing executions -- among them were pheasant meatballs, smoked pheasant, and pheasant wrapped in uncured bacon. As judges, we rated each chef’s efforts from 1 to 5 on taste, appearance and creativity. Sampling delicious food prepared by awesome chefs -- it’s a tough job, but somehow we made it through. I think I may have tripled the amount of pheasant I've ever had in just this one sitting. The only thing that could make this book meatier is if it was printed on bacon. I cook most of our dinners on the grill. I especially love to grill in the winter when there’s a little bit of snow. Makes me feel in control of the elements. Mother Nature’s not going to tell me when I can or can’t have a steak. 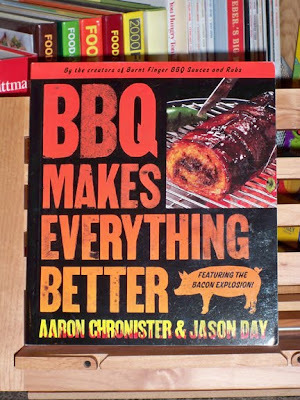 Thus, I was excited to receive a review copy of "BBQ Makes Everything Better," by Aaron Chronister and Jason Day. They’re two-thirds of Kansas City's Burnt Finger BBQ team, the duo behind BBQAddicts.com, and the inventors of the Bacon Explosion. I love the smell of tacos in the morning. Five contenders. All-you-can-eat tacos at Thirsty’s Cantina. 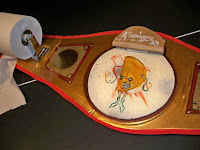 One sweet championship belt. 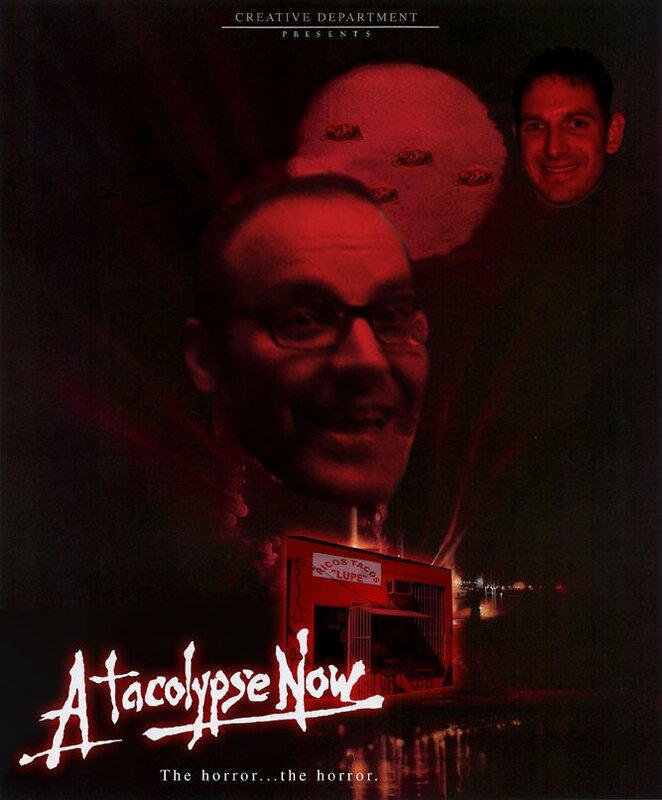 The Atacolypse went down last week, and it was not pretty. It all started as an offhanded challenge to my co-worker Josh that I could eat more of the street tacos at Rico’s Tacos Lupe than him, but the battle quickly escalated. Scot, Leisha and Erick wanted in on the action, and we set the date for Tuesday, April 26, 2011.